Strings Attached is written by Judy Blundell. She is the 2008 winner of The National Book Award for Young People’s Literature for WHAT I SAW AND HOW I LIED. 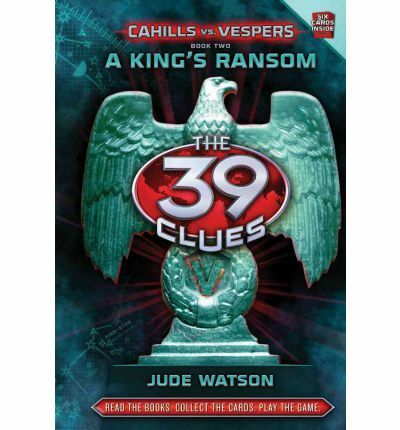 She also writes under the name of Jude Watson, and is the author of the bestselling Star Wars: Last of the Jedi and Jedi Quest series as well as contributing author for the 39 Clues series. Strings Attached is set in the 1950’s and is the story of Kit Corrigan who arrives in New York City only to get caught up in love, mystery, Broadway glamour and Mob retribution. Gideon Cahill finds a formula while researching a cure for the Black Plague. Damien Vesper once friend, now foe, wants to know what secret his old friend has stumbled upon, if it can give him power he will take it. 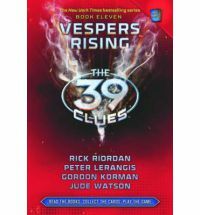 Gideon must try to save his family and stop Vesper. Then there is his family ring, that holds a terrible secret and must also be kept out of Vesper’s hands. Madeleine Cahill never knew her father, she grew up hiding behind the personality of Maddy Babbitt. 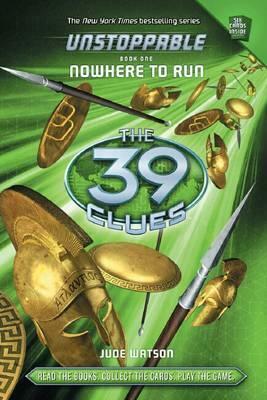 Her mother drilled into her training, survival, a need to stay well away from the Vesper’s and to always remember three rules – 1) Keep the ring safe, 2) Never let anyone abuse the power of the 39 clues, 3) Unite the Cahill’s when the time is right. When her mother dies she has to run from Damien Vesper and tries to find one of her siblings, but Luke isn’t what she was expecting to find. This brings home to Madeleine what the task in front of her entails, Maddie Babbitt becomes Madeleine Cahill and the Madrigals are born. Grace Cahill is thirteen, her father has abandoned his children, her sister doesn’t want anything to do with their baby brother Fisk. Then one night Grace translates a morse code message intended for her father. She goes to her sister who tells her that though their parents had been training her for the family business she wants nothing to do with it. Grace finds she can’t let it go so she sets out to deliver the message to General Patton, who is invading Casablanca. Once done she finds she can’t leave it alone as more of the message becomes clear to her. On her first Cahill mission, young Grace enters and leaves a war zone and is successful in more than just that. Amy and Dan Cahill are trying to settle back into normal life. It’s not as easy as they thought it would be. Then the message comes that the Vespers are making a move against the ring, a ring they knew nothing about, until now. Dan and Amy learn about the power hungry Vespers as they race against time to save that most vital of items. In doing so they go to Switzerland, almost crash to their deaths in a cable car, go skiing and learn more about their grandmother Grace. It becomes clear to them that there is still so much they need to do. They must be ever vigilant. Four incredible authors have come together to give us four pivotal stories about the Cahill’s and the Vespers. This is a fascinating look into Cahill history and how it ties with the present day. Things are put into context, the past is filled out and things are put into place for a future story line. This is an action packed bridging book that leaves you wanting more.